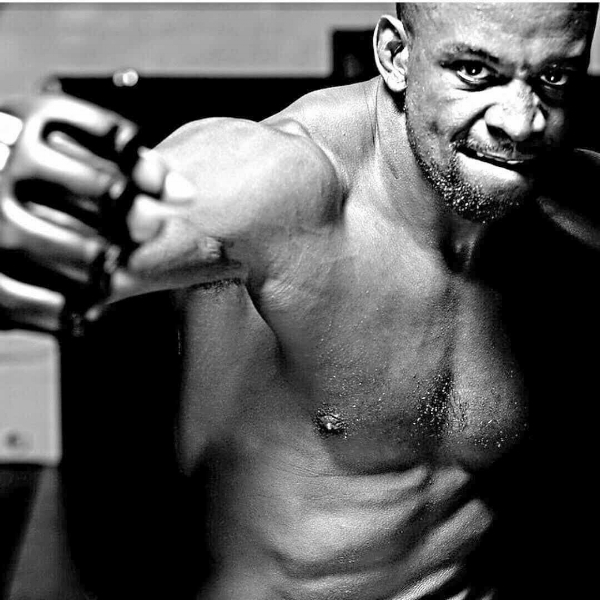 Eddie Gordon is an MMA fighter, Author and Founder of the ETG Foundation. Eddie “Truck” Gordon is a sportsman turned businessman. A Celebrity NY Emmy Award winning fighter, UFC Ultimate Fighter Champion, a motivational speaker and life coach. He regularly empowers corporations, fortune 500 companies and thought-leaders in the areas of leadership & personal development. Eddie is also the founder of the Eddie Truck Gordon Foundation whose mission is to help under privileged kids live a life of success and help to put an end to drug abuse. A. I start my day with a two to three mile run after I make my bed. I try to accomplish two tasks first thing in the morning. A. I end my day with reflection and preparation. I write down my goals for the next day. 3. Where did you your idea for the Eddie Truck Foundation Come from? A. I came up with the foundation to help underprivileged kids see that people care and they can accomplish anything. 4. How did you set about writing your book and implementing the Foundation? Was it an easy decision? A. I just sat down and poured out my heart and soul on paper. I simply want people to know they can do anything they set their mind to. It wasn't easy but I had help from my two-time best selling co-author. 5. What major challenges have you faced? A. I faced so many challenges in life. Emotionally, mentally, legally everything you can think of. It makes me who I am. Going through my divorce was the hardest emotionally. 6. How do you juggle life as a professional athlete and your work with the foundation etc? A. Life balance is very hard. I just put my head down and get it done. Having family who cares and helps make it doable. 7. When you were a kid, what did you want to be when you grew up? A. When I was a kid I wanted to be a pro football player. 8. What have you learned from the worst experience you’ve ever had? A. I learned that no matter how many times you fall or fail get back up and push through. 9. What are the main transferrable skills you can take from being a professional athlete into business? A. Mindset. Mindset matters. It’s everything. Being a professional athlete gives you discipline and drive and these are the core essence of a successful business. 10. Which sporting incident has had a profound impact on you either as a player or a fan? A. UFC101. I watched it from the stands as a fat overweight spectator. It was at that moment I knew I wanted to give that sport shot. 11. What or who inspires you? A. My family, my kids and the fear of being average inspires me every single day. 12. Tell us the best advice you’ve ever taken? A. Embrace failure it’s a part of the process and overcome fear. Even if you don’t succeed, you will learn something. You may not acknowledge it immediately but down the line it will become apparent. 13. How do you utilise digital marketing and social media within your business? A. Social media and digital marketing are the cutting edge in business. I have my own marketing/media team and company and we are always learning and growing. It’s the best way to tap into people these days. After all, we spend a lot of time online, it’s way more effective that past more traditional marketing avenues. 14. What does work-life balance mean to you? A. Work life balance is tough but I learned to try to have fun it can always be worst. A. Dealing with public failure in the eyes of the media but now I have mastered the art of not getting too high or too low with the ups and downs. Older Post‘The Tiger Effect’ – The ‘GOAT’ is BACK!